No cutting is required in this 3-hour workshop. 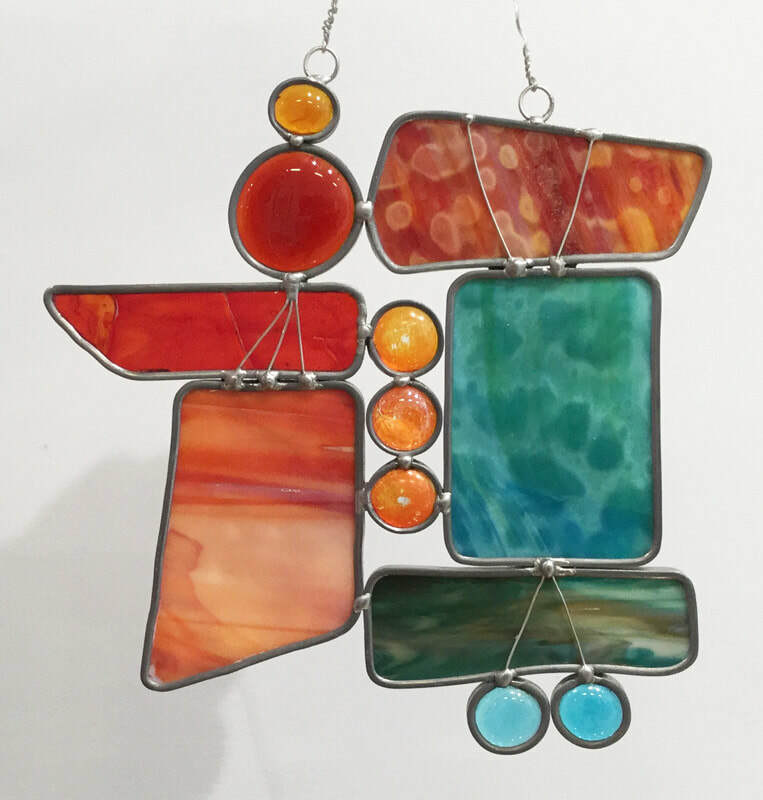 You will design your own small panel, choosing from an assortment of pre-cut glass shapes and colors. After it is laid out, we'll show you how to cut and fit lead came and solder it all together! No experience necessary. Your finished panel will be about 12" x 12". Scroll down for registration from. lower level rear of the building at 301 West Main Street, Ligonier, PA. The cost is $48 per person for this workshop. Class size is limited to 6 participants and pre-registration and payment are required by November 12. We will need at least 4 participants per time slot to hold this class. You may sign up a friend, but each person must submit a form separately. (Tues-Sat 11-5) send a check payable to Main Exhibit, or stop by the Gallery at 301 W Main St, Ligonier, PA 15658. To be registered, you must complete each item marked with an * and SUBMIT the form.